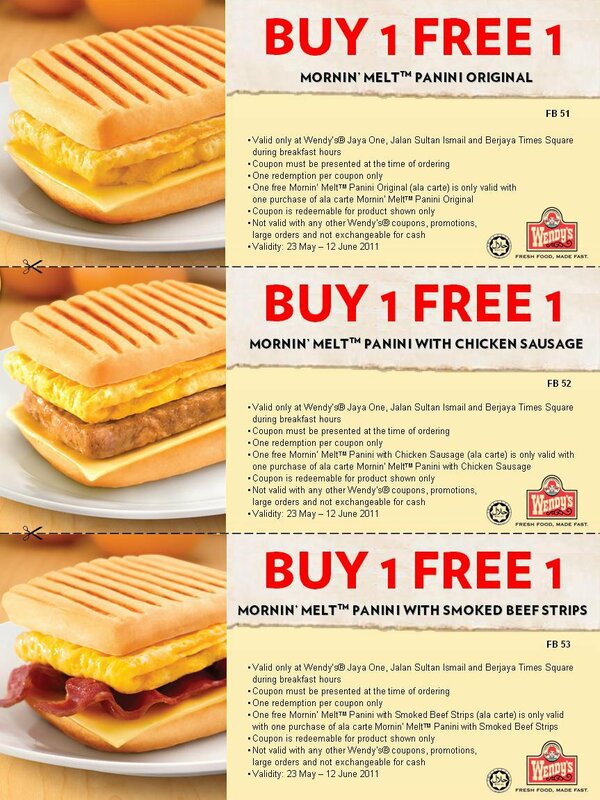 Wendy's Breakfast: Buy 1 Free 1! WENDY’S® BREAKFAST BUY 1 FREE 1 SPECIAL! Just print out this e-voucher to enjoy a FREE Mornin’ Melt Panini (ala carte). Terms & conditions apply. 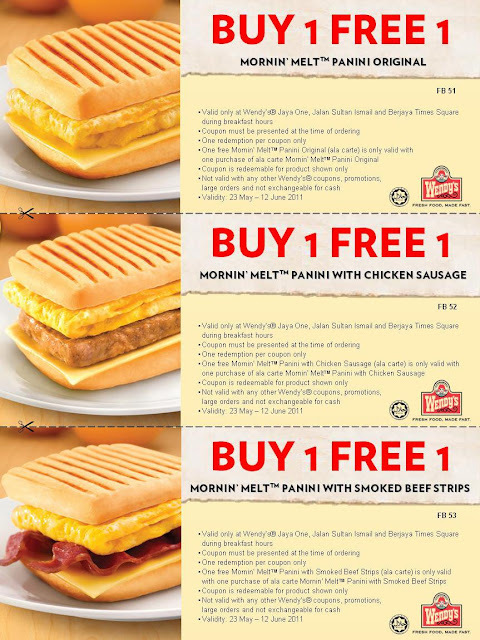 Promotion is valid from 23 May until 12 June 2011, only at Wendy's Jaya One, Jalan Sultan Ismail and Berjaya Times Square.